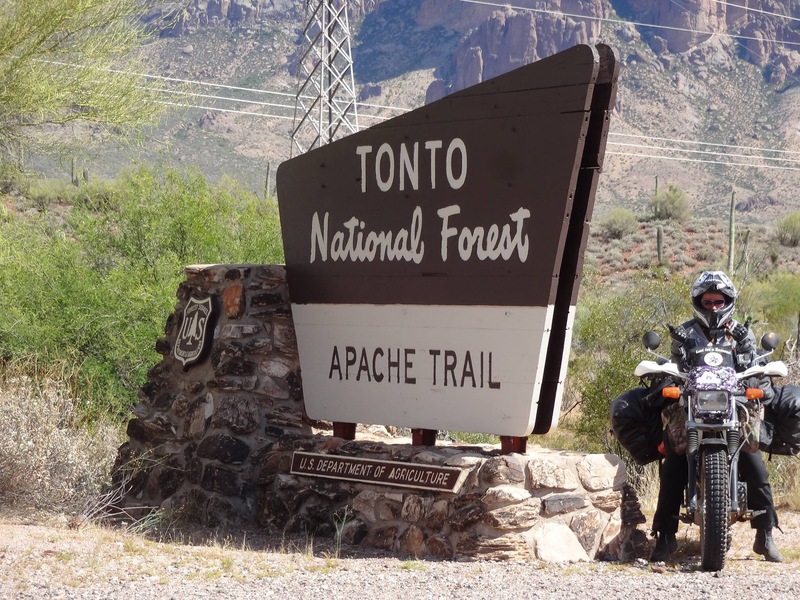 After the Overland Expo, I headed south to one of the oldest highway in Arizona. 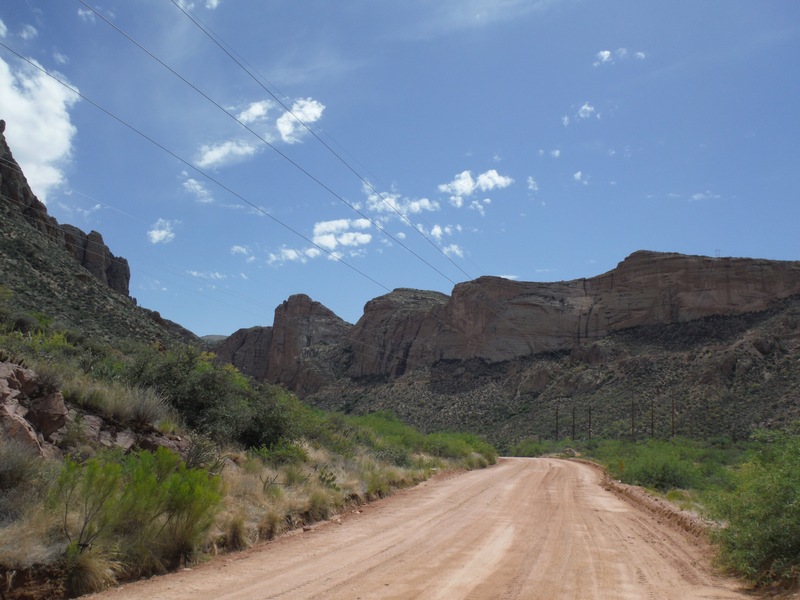 It is officially known as State Route 88 but commonly called the Apache Trail. It was a Stagecoach trail that runs through the Superstition Mountain. It was also a major trading route for the Apache indians. The Trail winds steeply through 40 miles (64 km) of rugged desert mountains, past deep reservoir lakes like Canyon Lake and Apache Lake. The narrow, winding road is unpaved from just east of the town of Tortilla Flat to Roosevelt Dam; there are steep cliff drops and little in the way of safety barriers. At the beginning of the trail on the North side is the Roosevelt Dam, it was first started in September 1906 and completed in 1911. The building of the dam should have only taken 2 years to build but suffered severe flooding several times over the years which caused the delay of the construction. Even it suffered many blows, it was still considered at the time the largest dam of its day. 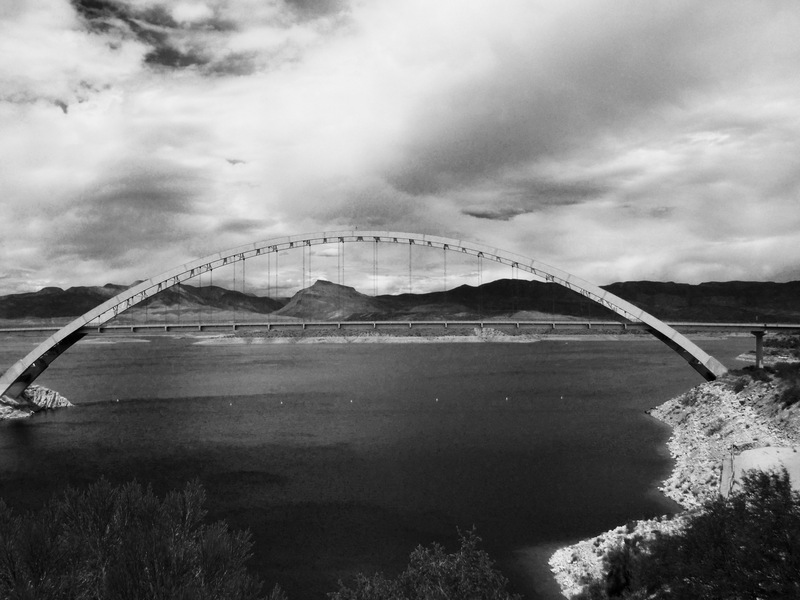 Then in 1989, the renovation began on the crumbling dam to expand it from 77 feet (23 m) to 357 feet (107 m) which expanded the capacity of the dam by 20%. The project also included the development of the Roosevelt Bridge for the realignment of State Route 188. 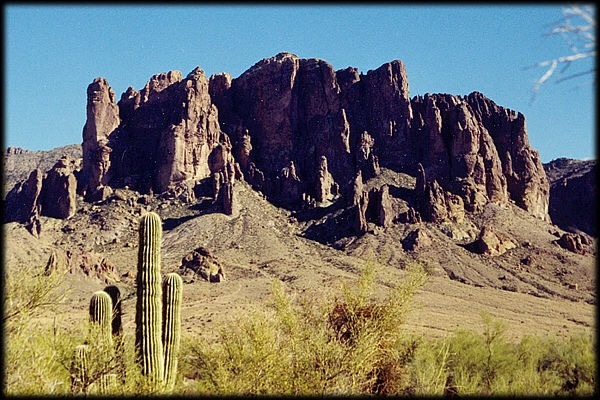 At the end of the trail is Superstition Mountain where the infamous lost mine called “Lost Dutchman’s Gold Mine”. It is named after a German immigrant Jacob Waltz (c. 1810–1891), who purportedly discovered it in the 19th century and kept its location a secret. To this day according to one estimate, 8,000 people annually made some effort to locate the lost mine. However, no one has located it since 1892. It was a beautiful ride through the canyon and I wished that I had turned on the GoPro correctly to show you the wonderful imagery I witnessed. I’ll need a lesson 101 from my son on how to use the GoPro when I meet up with him next month for my husband memorial ride. Looks like you are getting along just fine! Great photos too. Thank you Hogrider, yes I’m doing fine and having a blast! Loved that road! Great pics and stories. Thank you, it was a fun road to ride! That’s such a pretty drive and the Superstitions are a favorite of mine. Yes it was…enjoyed it very much!